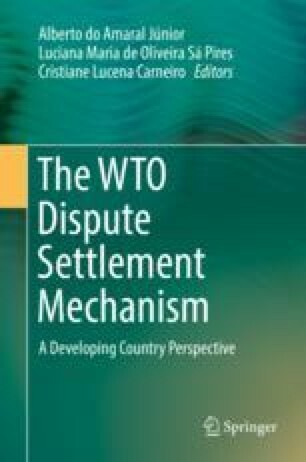 The sequencing between the procedures under Articles 21.5 and 22 of the Dispute Settlement Understanding (DSU) is one of the controversial issues arising in the implementation stage of the WTO Dispute Settlement System. The sequencing issue concerns the possibility of a party to obtain authorization for suspension of concessions under Articles 22.2 and 22.6 while there is a discussion on the compliance of the contentious measure under Article 21.5. The time frames established under the DSU result in an overlap between these two procedures, and the understanding is silent on whether these steps have to take place one after the other. The controversy first arose in the EC-Bananas III dispute and has reemerged several times since then. No consensus on the issue was reached under DSU review negotiations, and parties in disputes had to resort to ad hoc agreements to settle the controversy in each case. Until now, more than 30 ad hoc agreements on sequencing procedure under Articles 21.5 and 22 were reached. This article aims to analyze the agreements involving sequencing in order to assess how these ad hoc solutions have been addressing the sequencing issue.